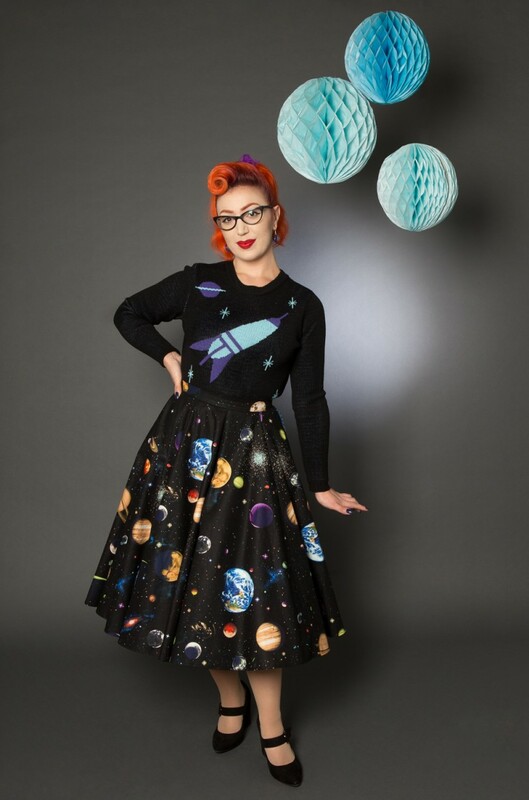 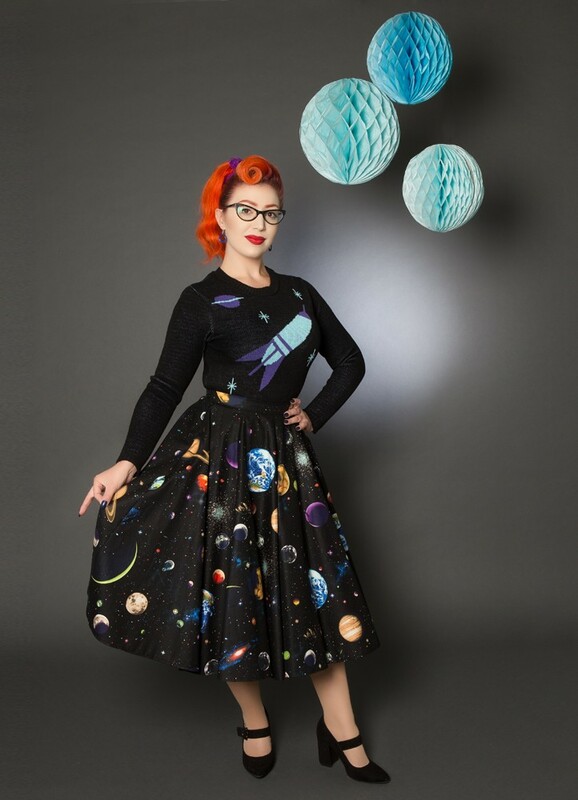 Full circle skirt made from panels of out of this world cotton novelty print. 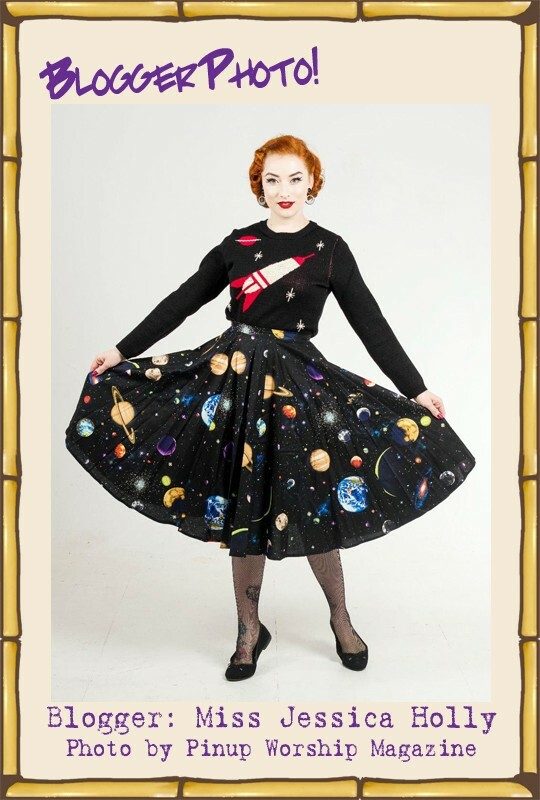 Planets, stars, satellites and the earth travelling through space! 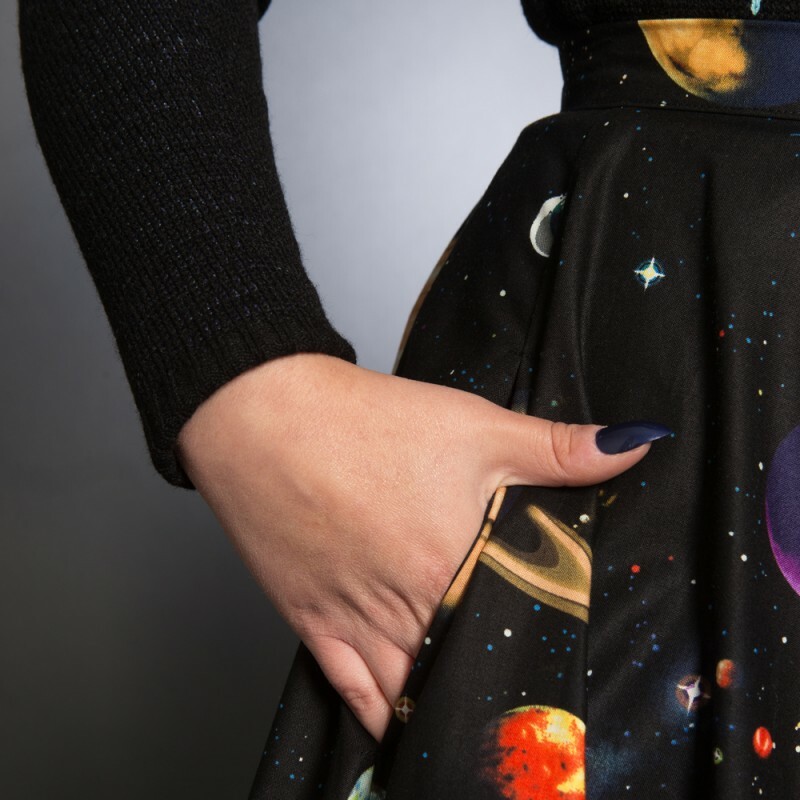 The skirt has a right hand side pocket perfect for your phone, lippy and other essentials! 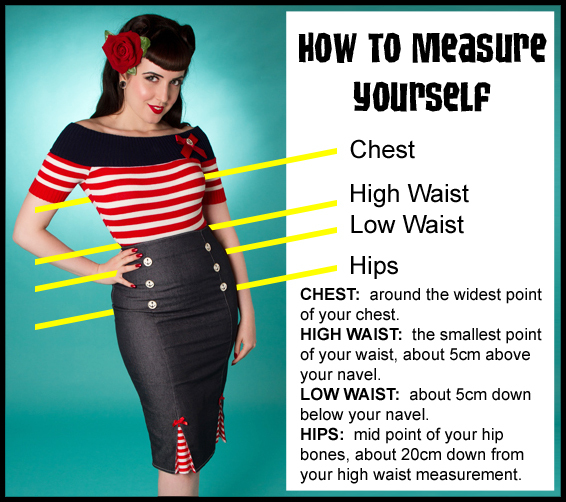 The skirt is about 69cm/27" long from underneath the 4cm waistband*. 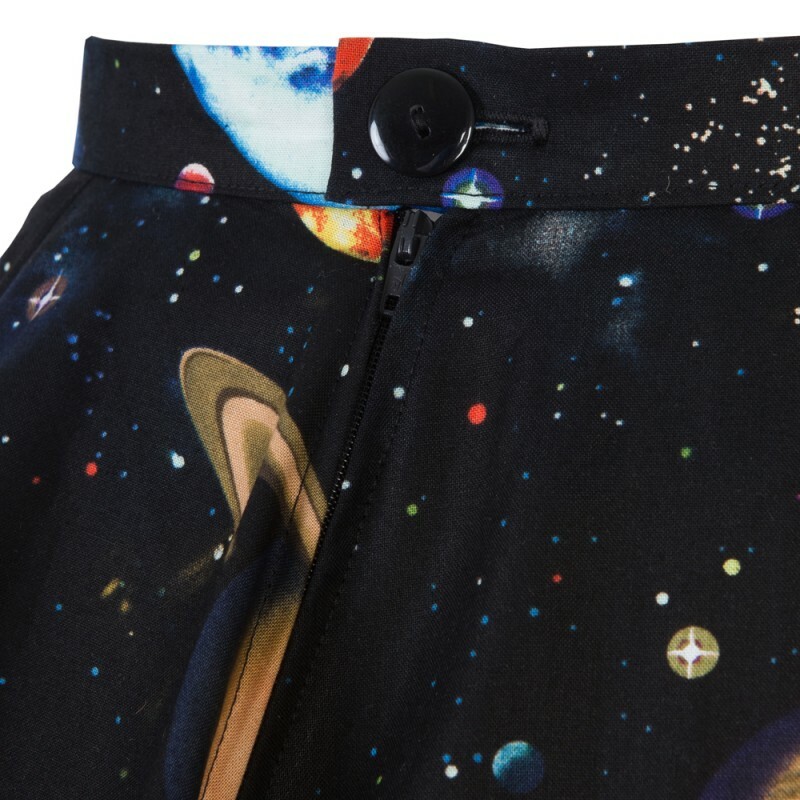 The waistband fastens with a button, which, if you are handy with a needle and thread, you can move a couple of centimetres either way to get the perfect fit! 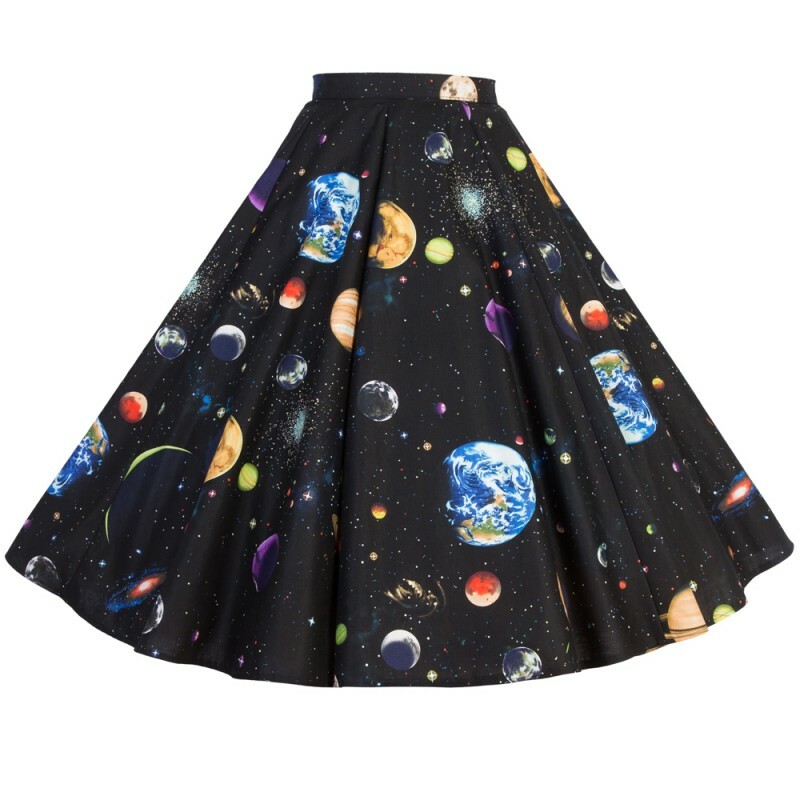 * I can make custom sizes of this skirt if needed, however, they will not be able to be exchanged/returned. 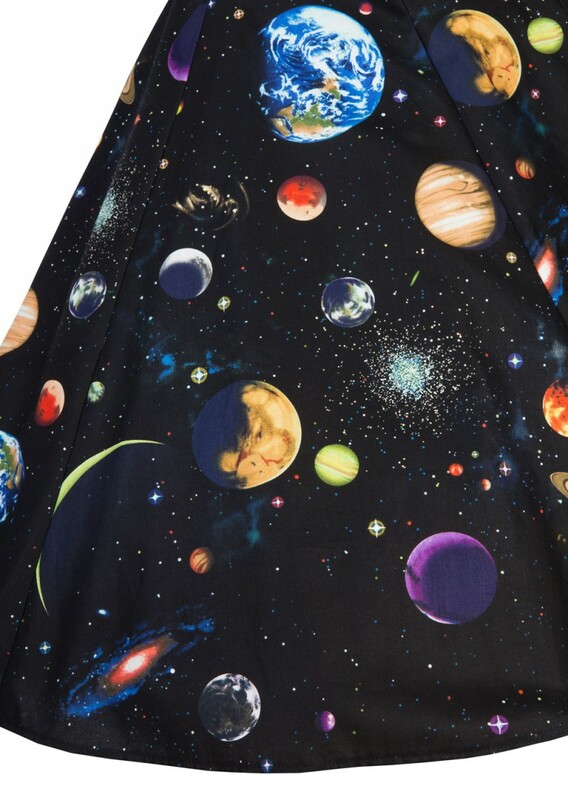 Please contact me to discuss your requirements.